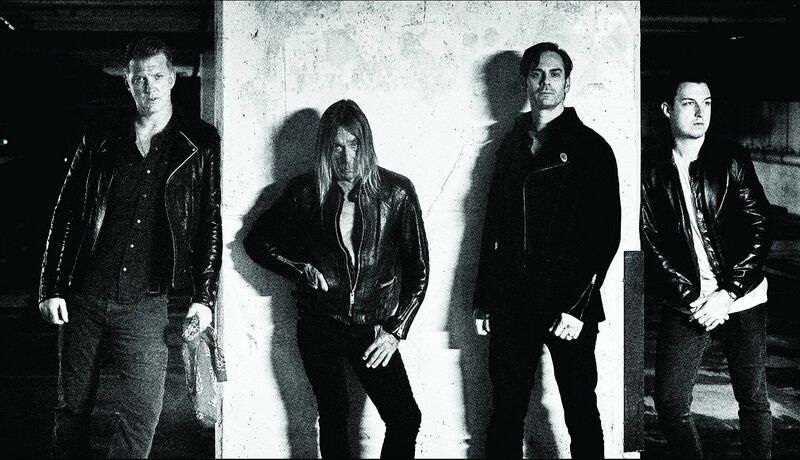 Josh Homme, Iggy Pop, Dean Fertita and Matt Helders. Six days after they shocked the rock world by disclosing a secret new album and performing on "The Late Show with Stephen Colbert," Iggy Pop and his new partner Josh Homme (of Queens of the Stone Age) announced Wednesday a 20-city tour that includes an April 4 date at Northrop Auditorium in Minneapolis. Iggy, who is 68, hasn't played the Twin Cities since a 2001 show at First Avenue. But a 2013 appearance I saw at Riot Fest in Denver proved he remains tougher than leather, and a vital performer who might be a half-step slower than his prime, but no less brave — or shameless about showing his Rodin-esque torso. The announcement emphasized this will be a "one-time-only" deal. In an interview with the New York Times Sunday, Homme said they were planning a "brief" tour of "small beautiful theaters." According to Wednesday's announcement, "the Post Pop Depression tour will mark the sole occasion that the album lineup of Iggy, producer/guitarist/songwriter/multi-instrumentalist/bandleader Joshua Homme, Homme’s Queens Of The Stone Age bandmate and Dead Weather-man Dean Fertita and Arctic Monkeys drummer Matt Helders — augmented by QOTSA multi-instrumentalist Troy Van Leeuwen and journeyman guitarist/bassist Matt Sweeney — will perform this material, as well as classics spanning Iggy’s legendary solo career, in a live setting." The album is said to pick up where Pop's mid-1970s collaborations with the late David Bowie left off.